90quattrocoupe wrote: One of the reasons I took my car to Mark, was for the change from O34 to Vems. You won't find a better person than Mark for this. He even made me an adapter cable that plugged into the 034 harness and other end plugged into the Vems unit. Marc emailed me the options and I chose the same one with the adaptor. The fact that you are running the same option gives me the warm and fuzzies about the switch in management! He gave me some support a few years back getting the pnp up and running on my urs4 and he made it super simple and painless. I'm excited to get back on the road with it again. Finally got the transmission in over the last weekendand am able to drive it again. Overall it was a fairly painless undertaking. For once I was fully prepared and had all the parts together to complete the install In one shot. 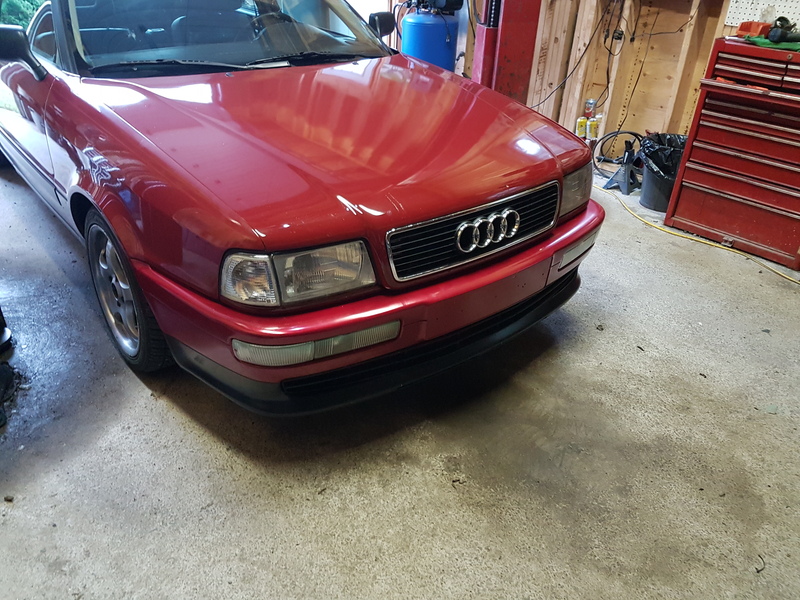 After the responses from 90quattrocoupe (Greg w) I learned I could use the factory sensor location on the transmission. 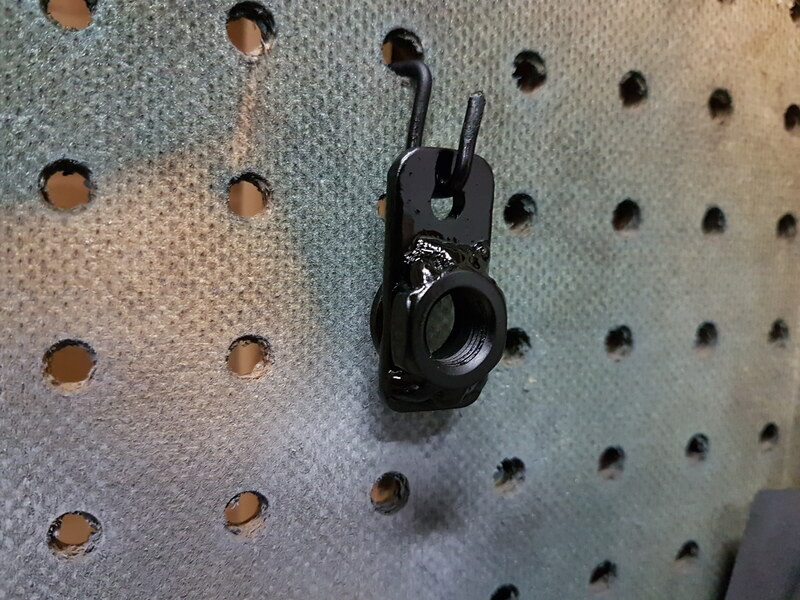 I made a simple adaptor that will keep my current universal sensor centered in the hole and can be repeatedly removed without losing its adjustment. 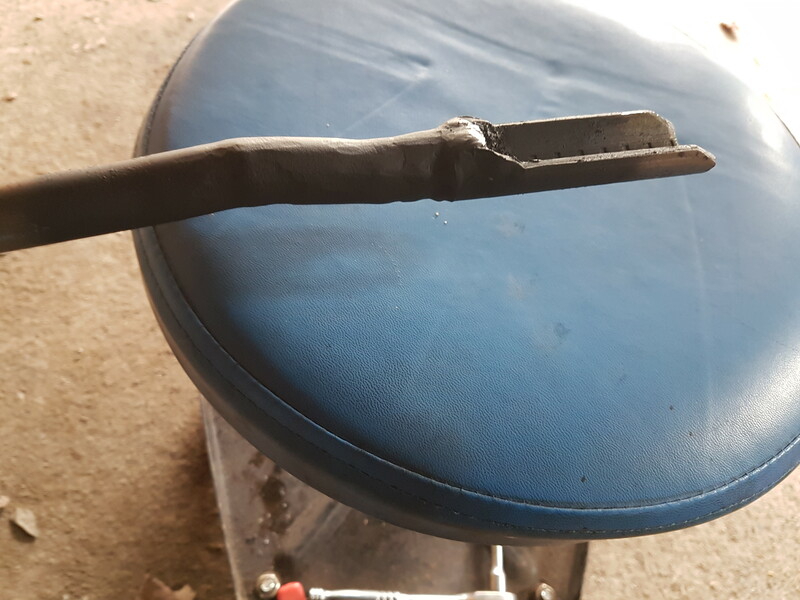 It is a piece of flat bar with a washer welded to the bottom to center in the hole and a spare nut welded to the top to thread the sensor in. I also had to add about 1.5 - 2 inches to the shift linkage to make it work. 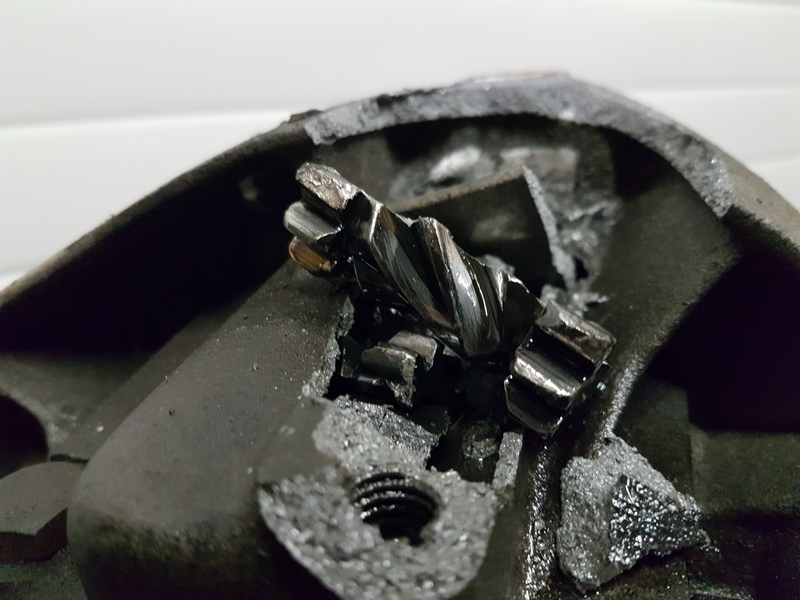 I only adjusted the angles slightly on the extended piece the rest was just as it was removed from a 2002 a4 v6. 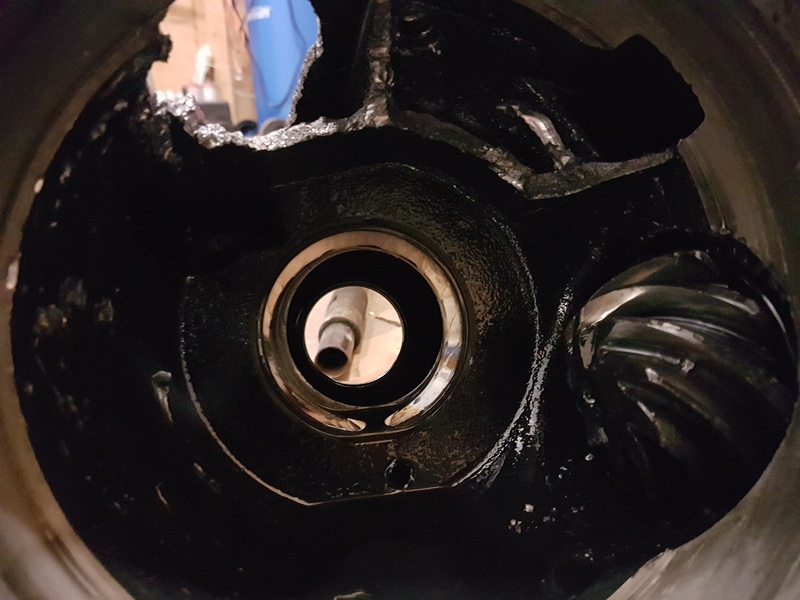 The iroz mounts went in very easily and the audi 4000 driveshaft fit perfectly. 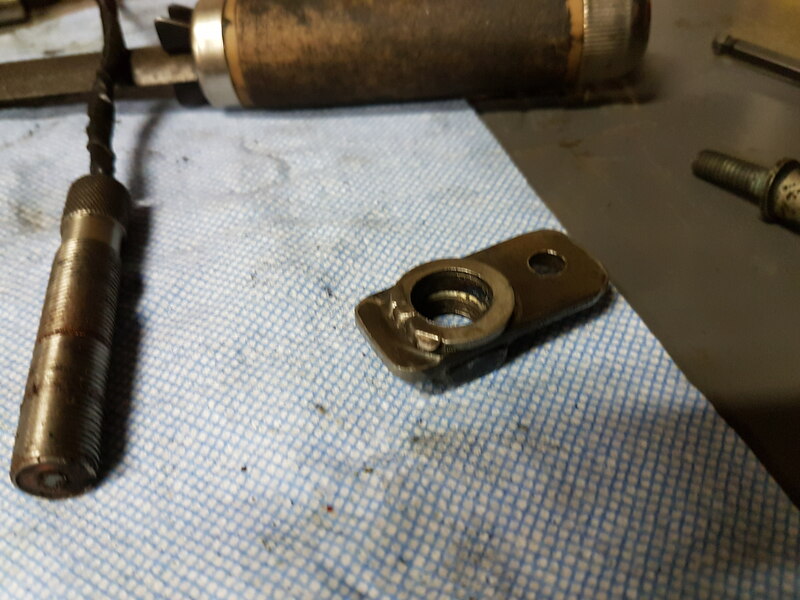 I only had to clearance a tiny bit of the transmission tailshaft for my exhaust to fit back on with a small spacer. All in all I did the whole job over the weekend by myself and didn't break a single bolt for once! No post is complete without some damage. This is on the old 01a, check out the shard in the top right corner. Everything seems to be working great no leaks or breaks so far. I am getting ready to install an old lc1 wideband I have laying around so I can adjust the fuel to something more reasonable. It's running rich right now, about 20L to 100km. Looking nice. The 6 speed will make all the difference. 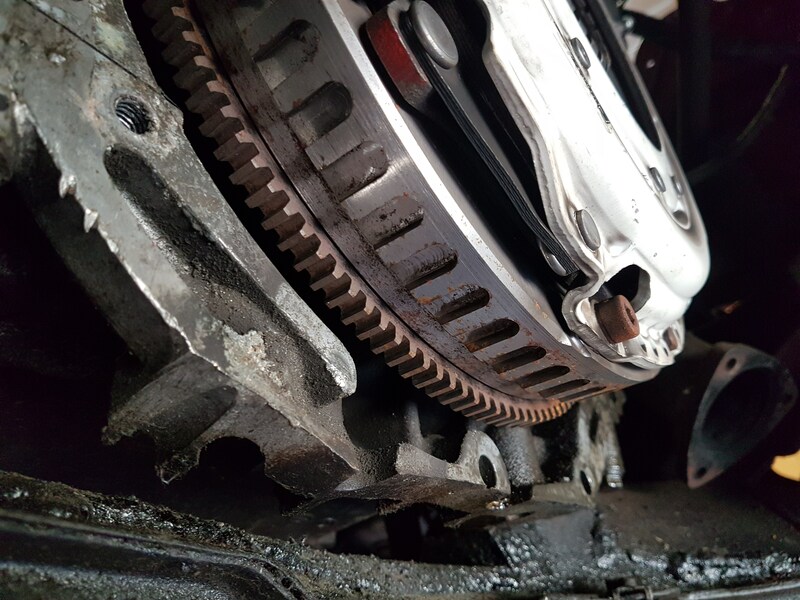 Down the road, you can update the trans to a .56 6th gear. I love it, in mine, for cruising. 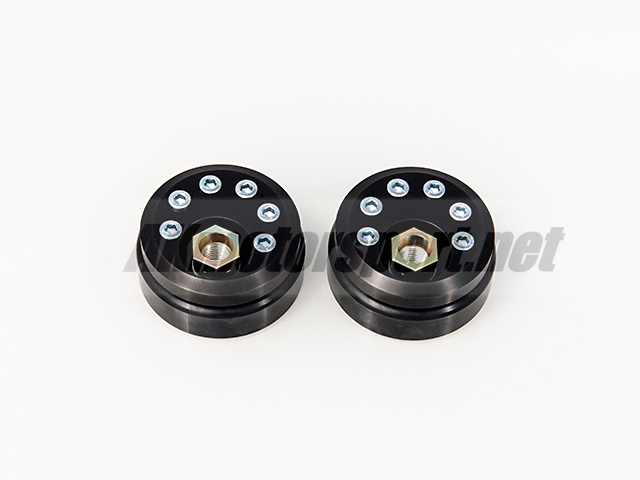 Before I went with the current stock flywheel sensor, I used the same one as yours. You may want to double nut that sensor and apply a little red loctite. 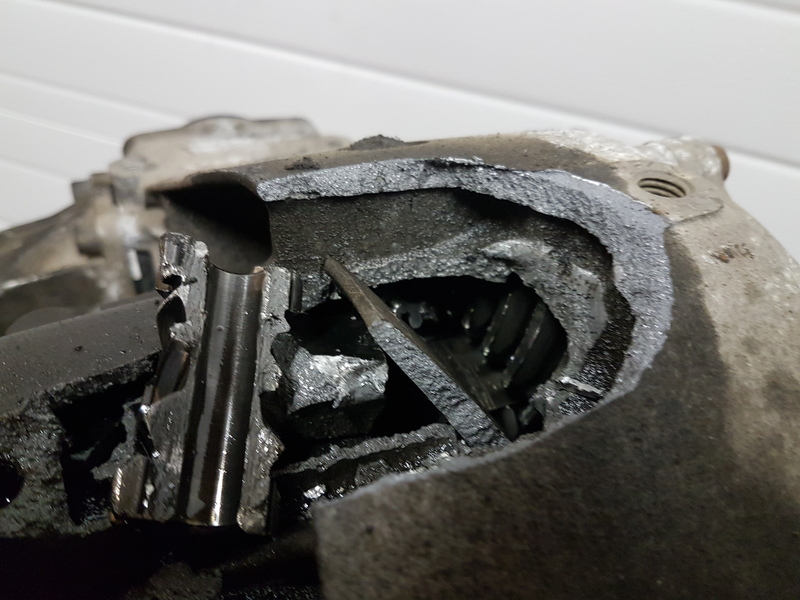 Mine moved in a sheared off the tip, while I was at Spring Mountain Raceway. Ended my day. 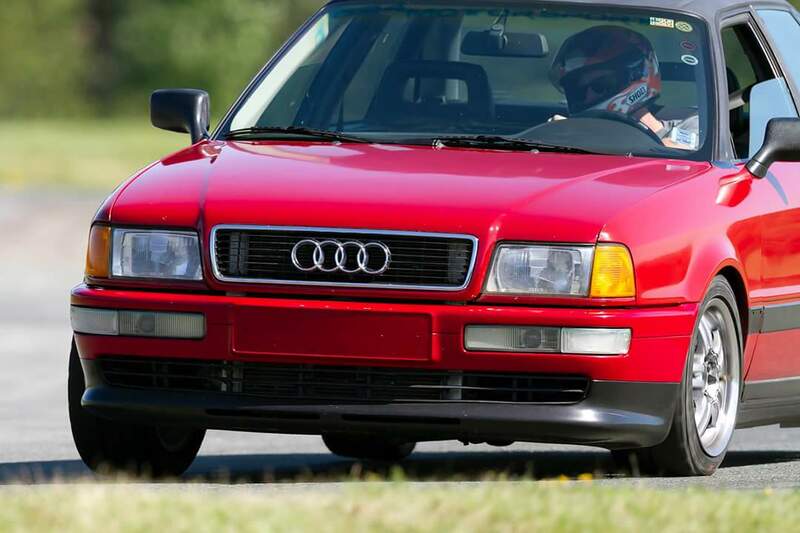 90quattrocoupe wrote: Before I went with the current stock flywheel sensor, I used the same one as yours. You may want to double nut that sensor and apply a little red loctite. Good eye, already done! 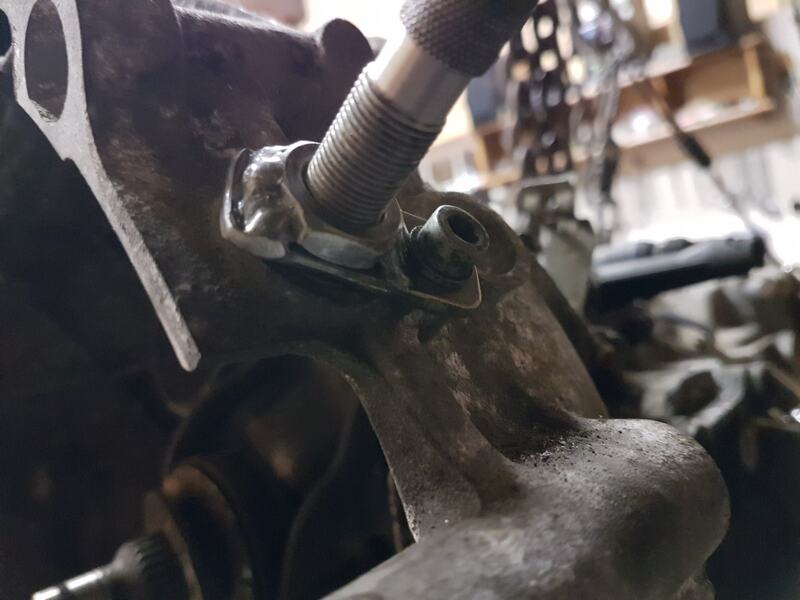 That picture was just for mocking things up, it has a nut locking it down. The lc1 has been installed and the fueling is a bit better, it'll have to do until my vems set up arrives from efi. Currently I'm halfway done swapping the front seats from my urs4 into the 80. 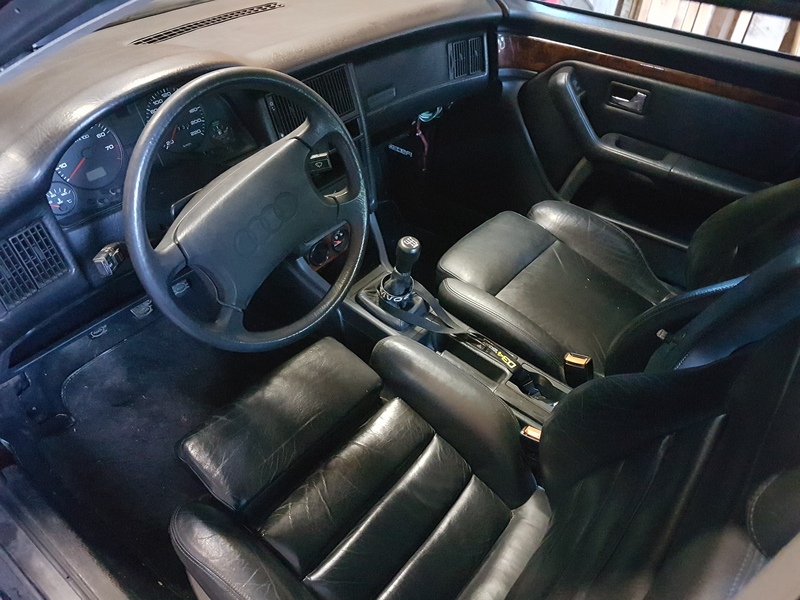 Drivers is done and the pain of rewiring the seat and adapting the old frame to the new one was definitely worth it, the side bolsters are much better. I don't slide to the passenger side under hard cornering anymore lol. I also went to a couple autocrosses and had some fun. This video was recorded by the guy behind me. He was joking that I always left the line diagonally, so I told him I'd give it a good one lol. 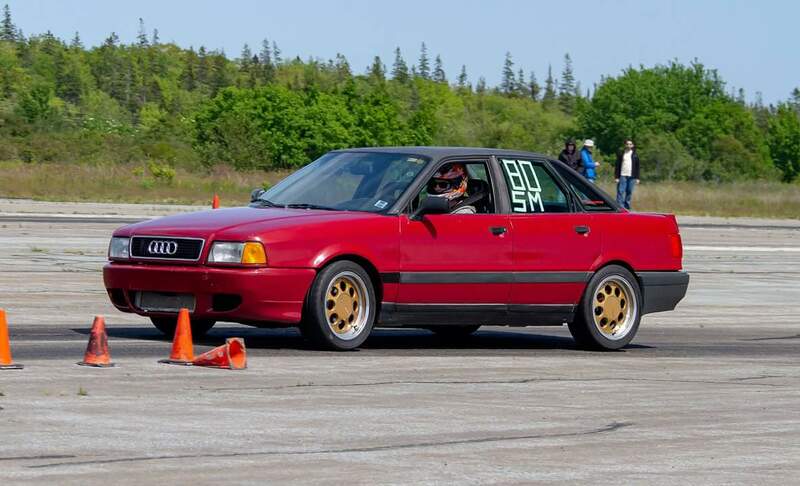 I've been having a blast with this car, lots of track days and autocrossing. Here's a few pictures taken at some of the events, and a shot of the interior. Now the nasty stuff. I assumed there was a brand name lsd in the car and that's how it was pitched to me when I bought it. 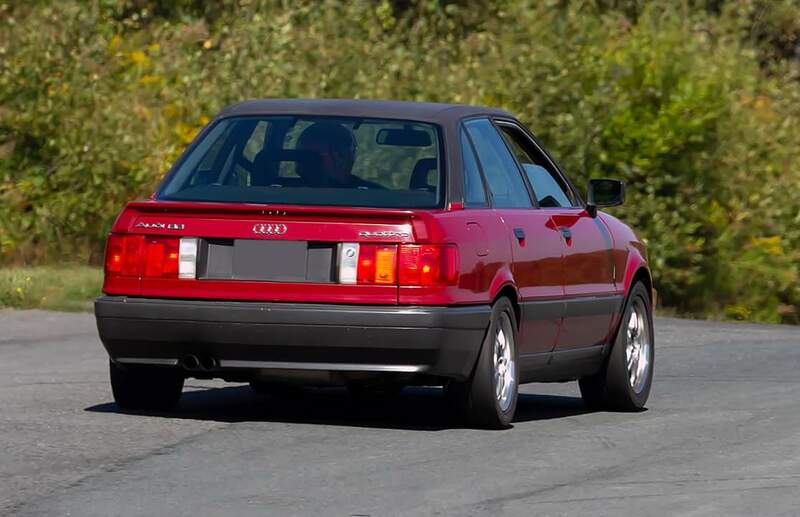 I found out that it was actually a torsen unit from an early v8 audi. I discovered it at the same time it ventilated the rear differential lol. I wish I knew it was the explosion prone torsen I could have taken it easier on it! 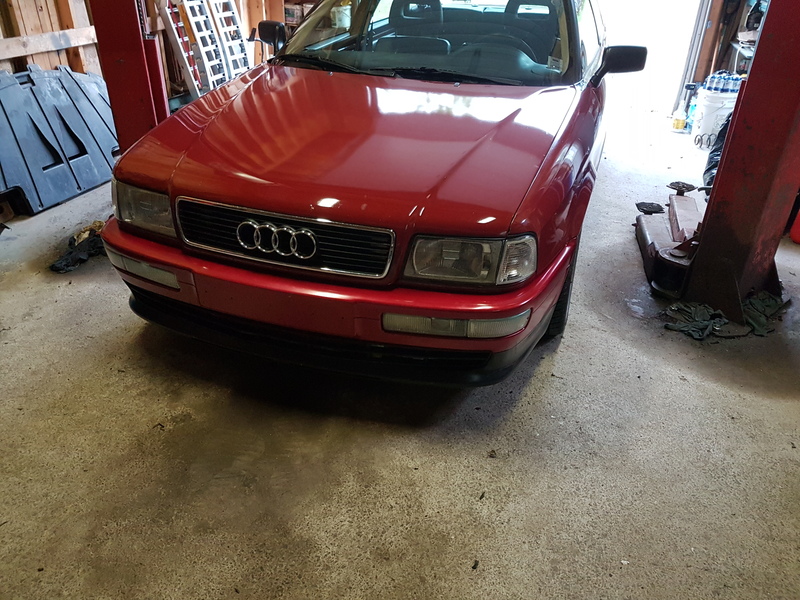 Luckily a local guy I know as Audi Bob had a differential available for me at a great price. I'm up and running once again, but with an open diff this time. I ran it at autocross today and I definitely need another lsd lol. I could feel the loss of traction everywhere on the track. 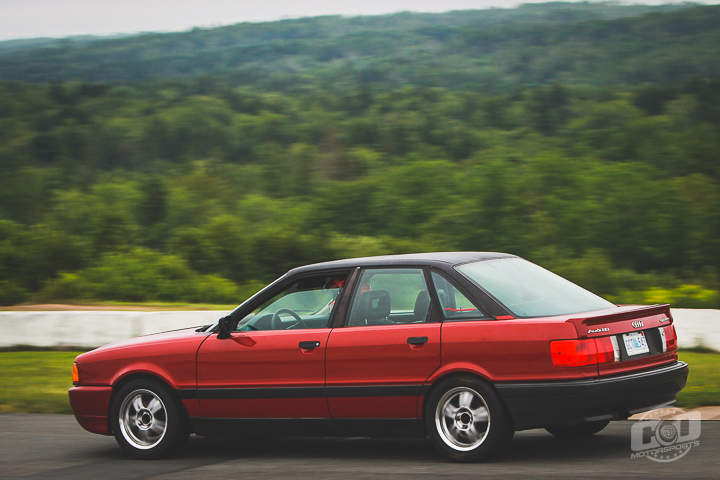 Does anyone have a good recommendation for a quality aftermarket lsd for the b3 audi platform? 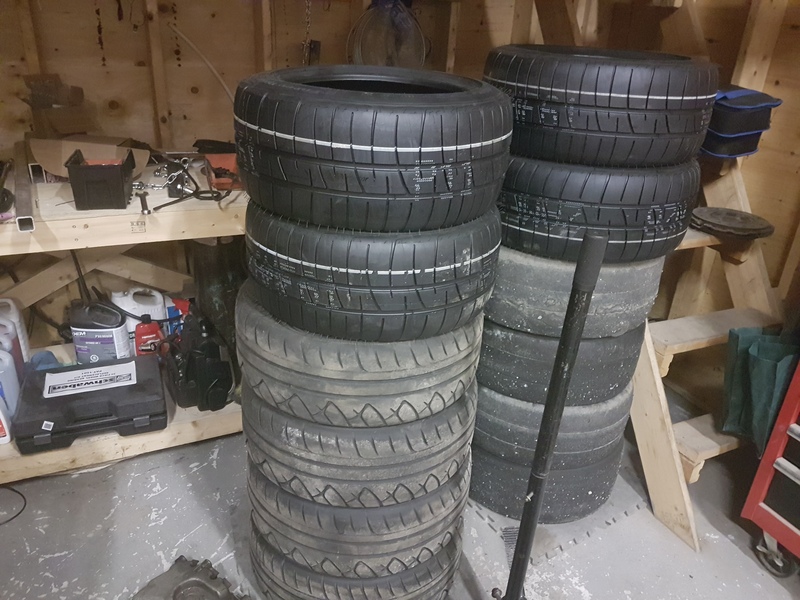 Mostly used for autocross and lapping days. I need something that will take some abuse. Damn that’s some carnage . Nice launch !!! The V8 is probably so sweet in that car , looks fun. Nice to see this thing out there ripping it up! I run a wavetrac in the rear and love it. 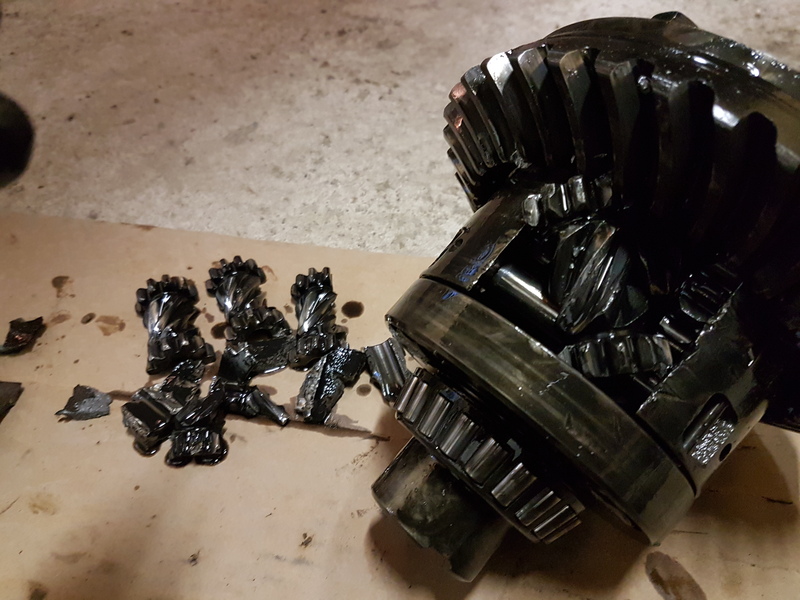 You do need to shim it to set the bearing preload. Don’t just drop it in. These also retain the factory locking function! audifreakjim wrote: Nice to see this thing out there ripping it up! Not to hijack a thread, will this work in the 4k diff? I would love to run one of these. Nice number for autox, it run 90SM, lol. Ben, worst case you just need to swap in 90 stuff in the rear. Hank runs one in his urq, but that's far from stock. See if you can get ahold of him. With a high bias-rear center, and the wavetrack, the car will on throttle over steer in second easily. 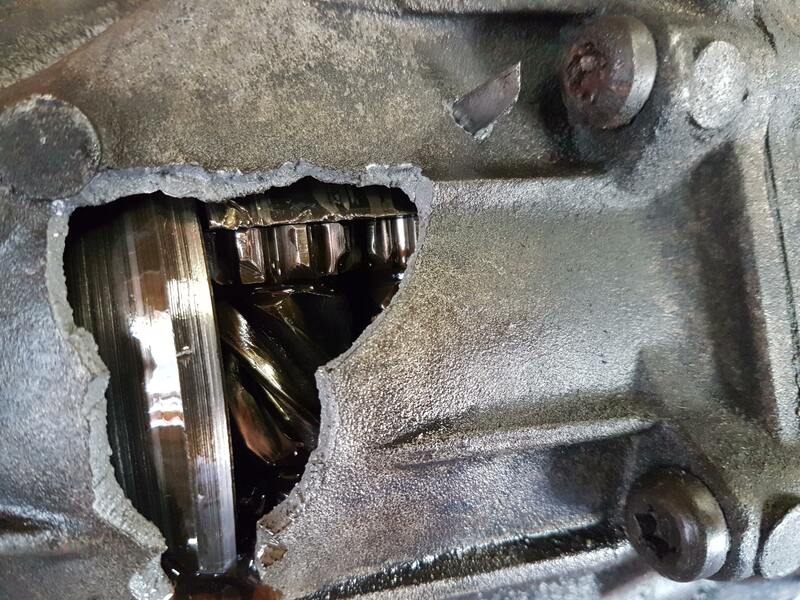 Thanks for the heads up about shimming the diff, there is a very well respected shop not to far away that I will have do the install. The locking feature would be nice to keep however I would have to redo the vacuum lines and solenoids etc. Looks like the majority of it was removed when the torsen was installed. Currently I have the arm locked in the open position. 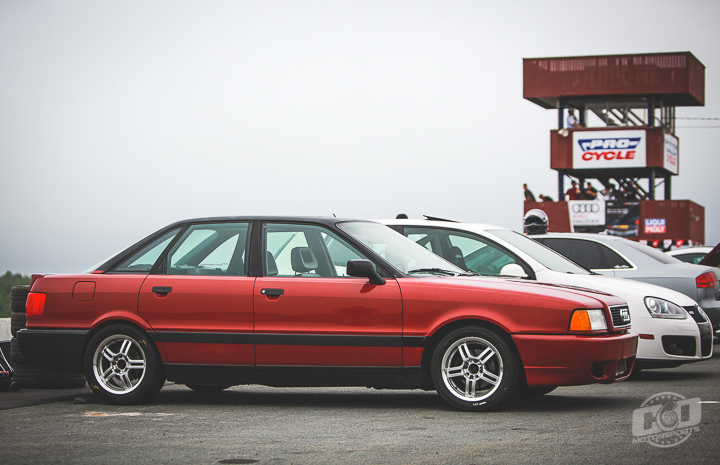 Went to an autoslalom at the local racetrack AMP. It was a good time I was surprised that they had the cones set for a fast line through most of the corners. A good time was had by all. 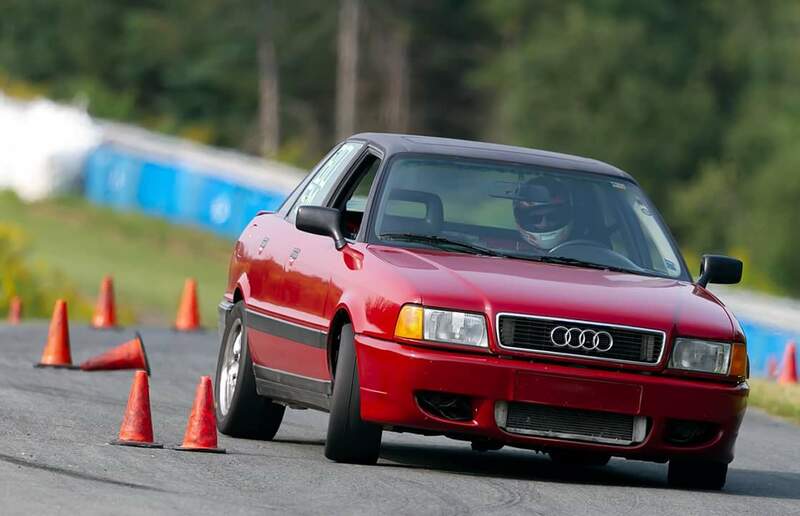 This was the last run for my old tires, I upgraded to a set of rival s tires after this slalom. 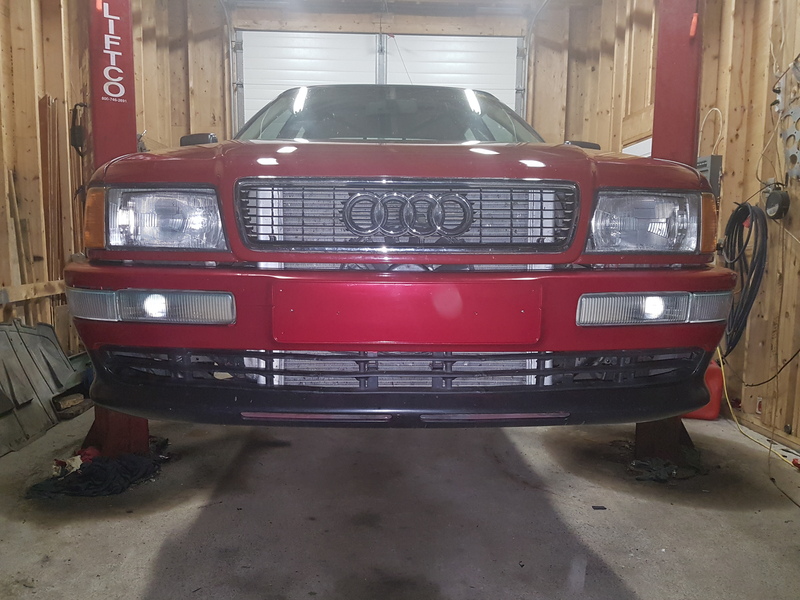 I finally got around to building the mounts for my euro bumper and making a grill from 3 mk4 jetta center grills all glued together. 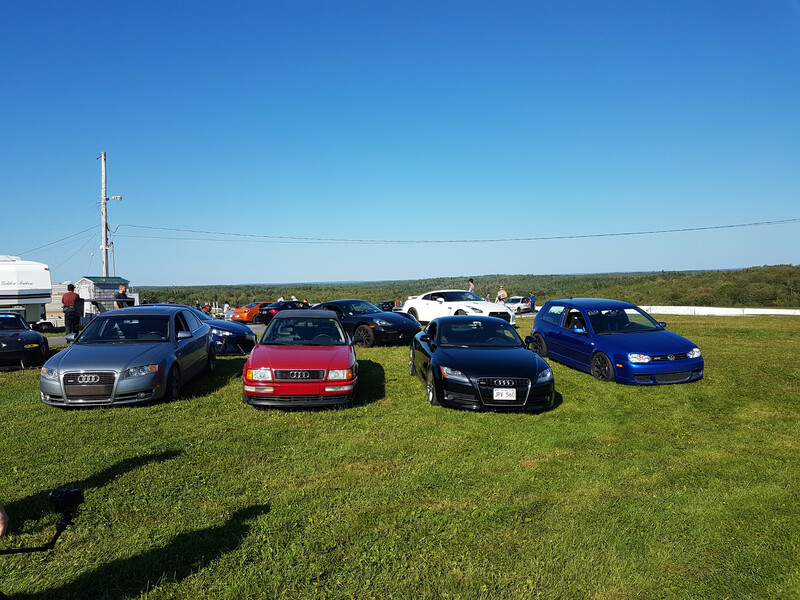 The last lapping day was a great success the rival s tires are fantastic. I currently have the strut mount savers but will have to look into something to add more camber. I am maxed out and could still use more. 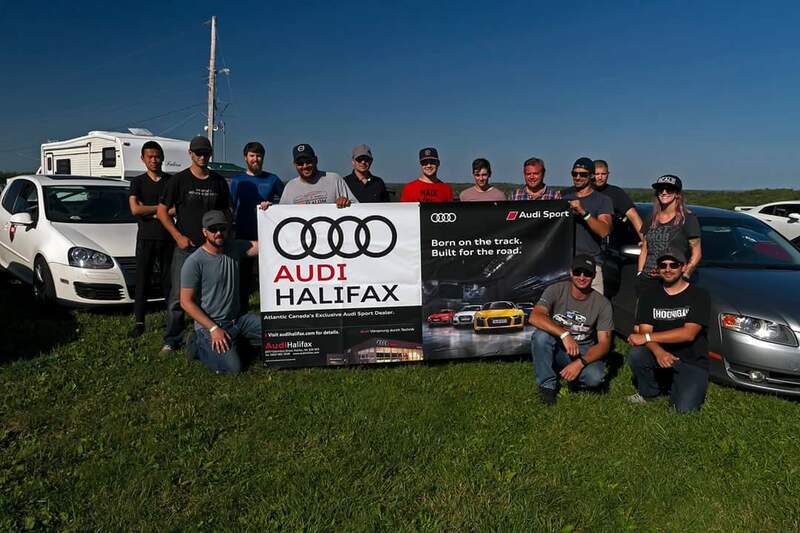 The local audi dealership helped sponsor the time attack series so we made sure to get some pictures for them. Motorsports here is slowly coming back so we appreciate all the help we can get. 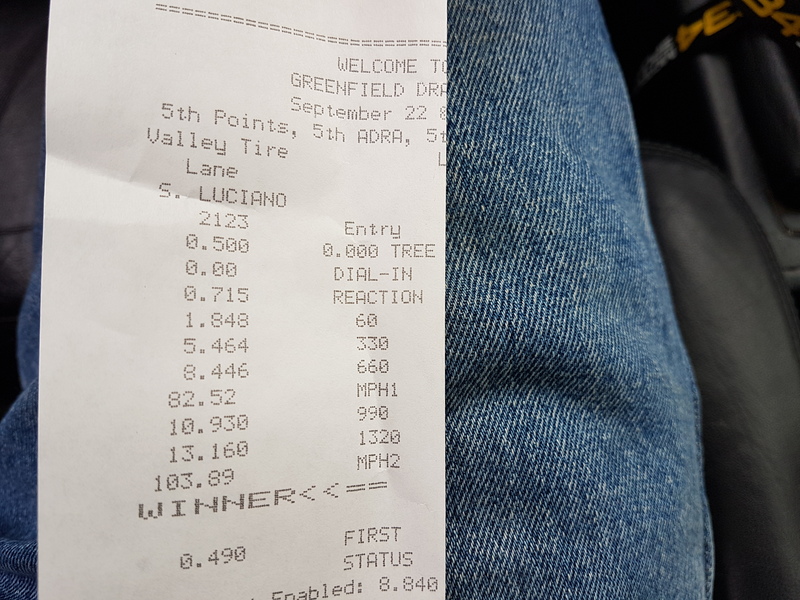 For the last part of the update I made it out to the last drag race at Greenfield. I was always curious what the v80 would do for a quarter mile. I put down a 13.16 @ 103.8 mph. 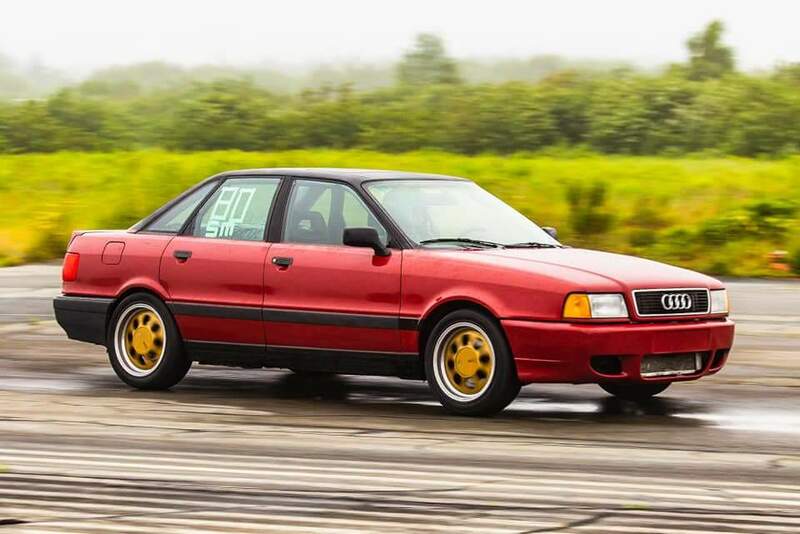 There was some nasty wheel hop, I was running some crappy old tires, I'm pretty confident if I ran my track rubber and had a solid launch i may be able to dip into the high twelves. I am satisfied though i have run a better time than my old urs4. 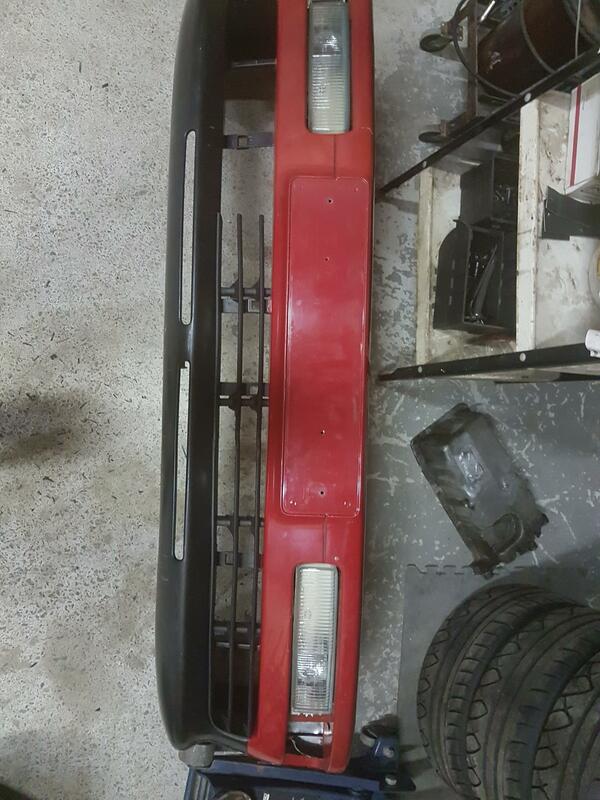 Last but not least I got some depo clear corners to clean up the front end a little more. 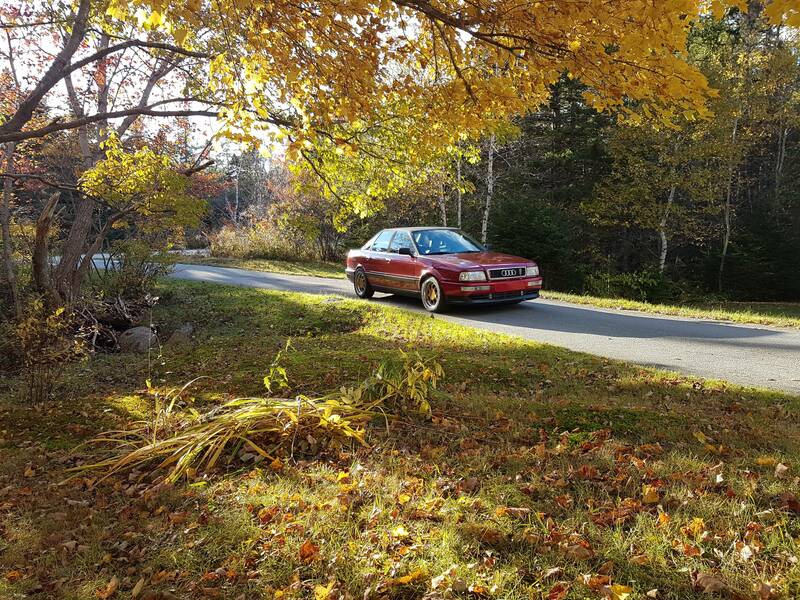 I'm still waiting on the wavetrac so it has become my new winter project, no stress or timelines to deal with lol. Nice Shawn. Car looks and performs awesome. Glad to see it coming along. Nice 1/4 mi time. Not much to update recently. I have the V80 stored for the winter, away from our gross salty roads. 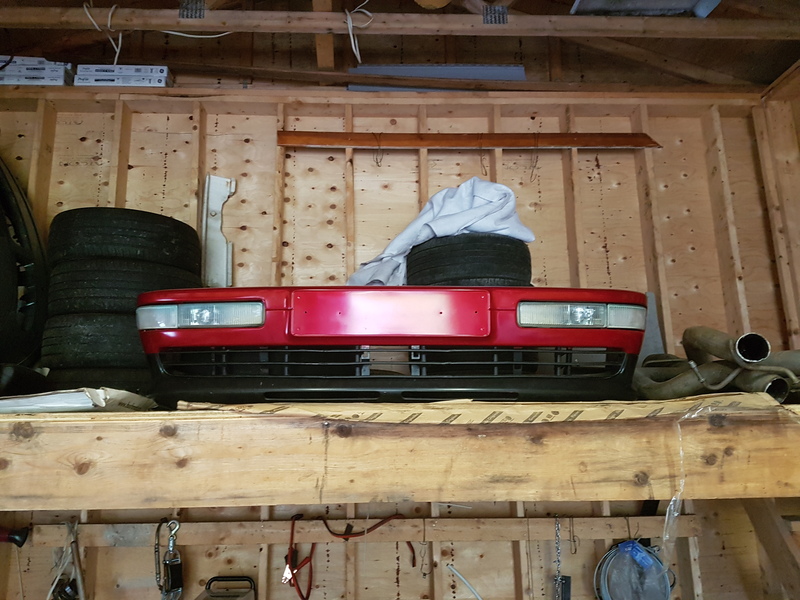 The rearend has been completed. 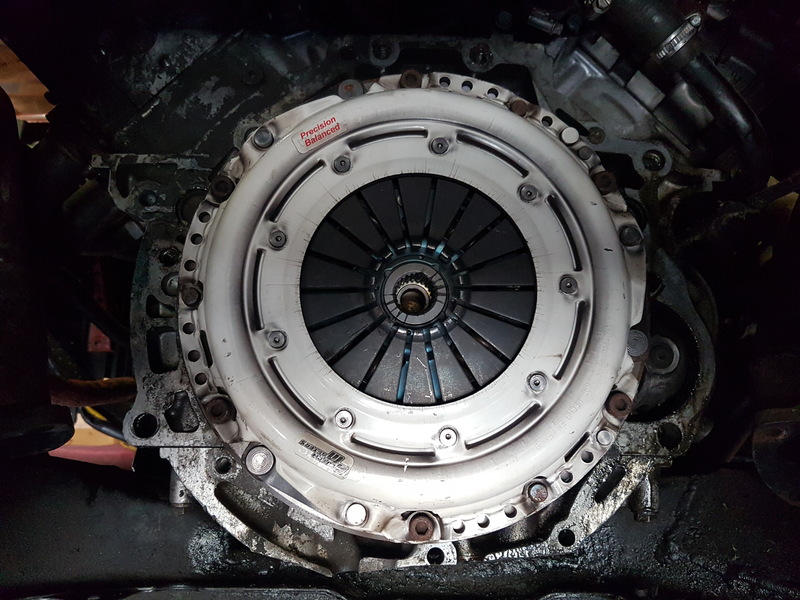 I had a spare completely rebuilt with all new bearings and seals. Also had a wave track installed. I will have to wait till spring to put it in and give it a try, spring can't come soon enough! The 034iic ecu had been removed and the vems ecu is installed. Marc hooked me up with a conversion harness and the ecu. After some troubleshooting to solve a few issues, it's up and running great. What a difference its made, I can finally adjust all the settings and have a nice solid idle!! No more stalling when coming up to a light or putting the clutch in when higher than 1500rpm haha. With any new mod a trip to the dyno is always in order. 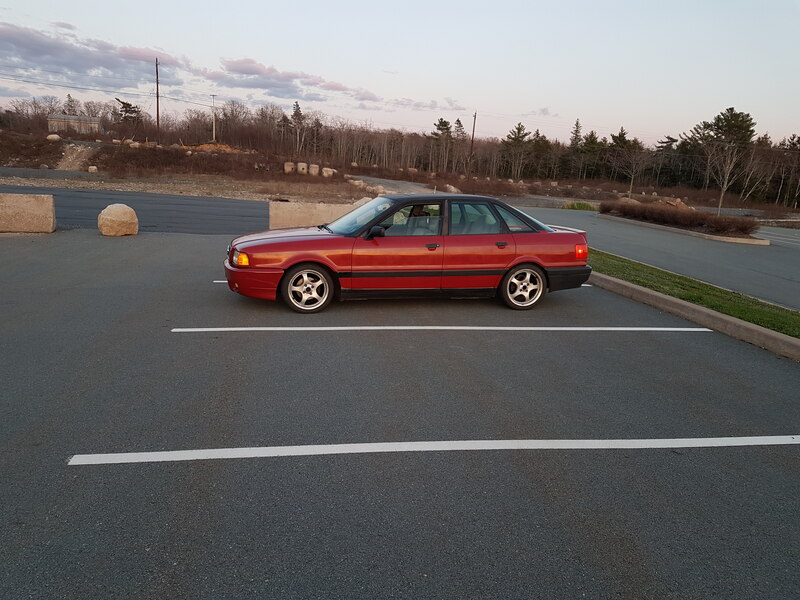 On the only awd dyno in atlantic Canada the v80 made 277whp and 293tq. The torque line is pretty hard to see on their printout. I am very happy with the numbers. 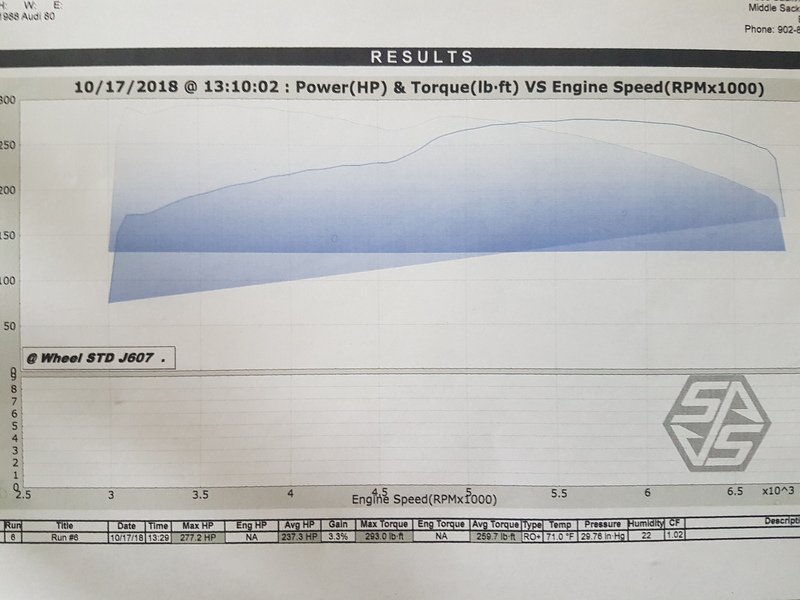 After it was ran I noticed on the graph that I had the intake runner switchover set too high. With it now set at 4000 instead of 4600 the dip in the dyno graph should be much smoother and make more power in that area. 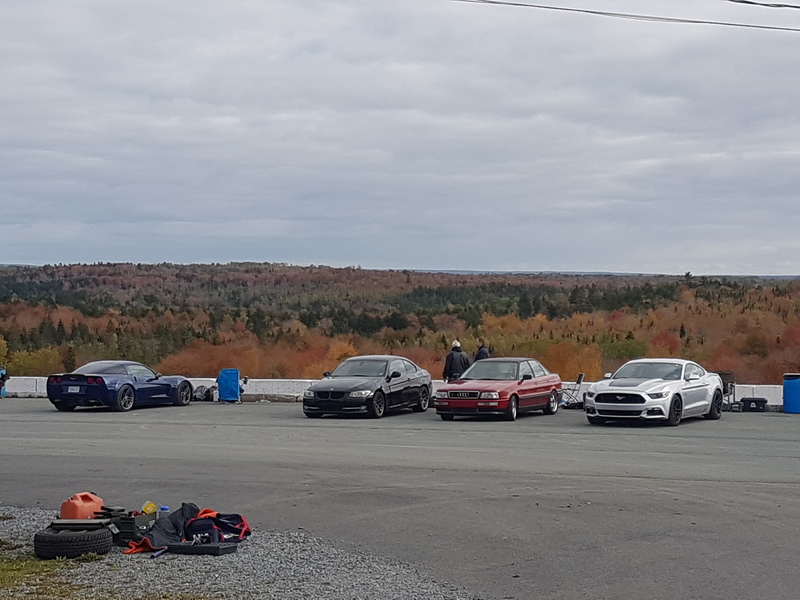 Heres a fall picture and the last track day of the year back in October. Future plans at this point are to get more camber into the front end. I'm kind of on the fence at the moment. 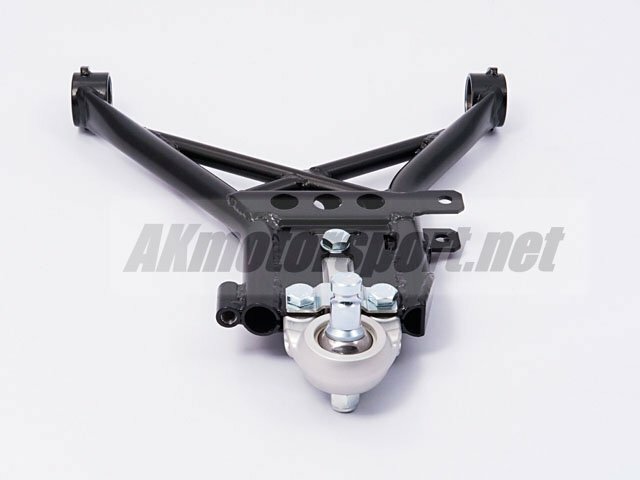 I'm looking at the top mounts and or the control arm setup with the beefy balljoints from akmotorsports. Does anyone have any experience with their products? The control arms are supposed to give some extra castor too. Albert's stuff has a good rep, but I've never used those parts. Nice job on the Grill. Car is looking good. Possibly dumb question, but how did you get your factory tach to read properly? I'm thinking its a setting in VEMS? lorge1989 wrote: Possibly dumb question, but how did you get your factory tach to read properly? I'm thinking its a setting in VEMS? Yeah should just be in the settings. The harness was already installed from the previous ecu and an adaptor harness was made. Do you have a swap that's not reading right? I can send you the config from my vems setup if it will help you out. Im running a factory ECU, no such luxury for me. Thanks for the info though.